We know that people need a safe place to grieve but what does someone do once they find that safe place? It’s a complicated question but one answer is that they find a way to tell their story. The most obvious way this can happen is by simply telling someone. 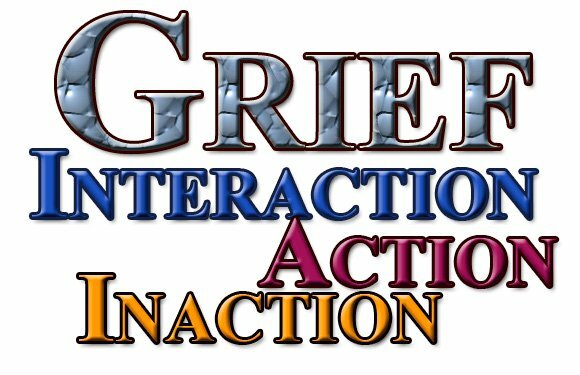 We can easily see this interactive mode in a grief support group. People are encouraged by other group members to tell their story repeatedly and as they are speaking their pain things start to slowly transform a tiny bit at a time. Their story is being told and being heard. But how about other ways to tell one’s story? There are two other ways that people accomplish this: telling their story through action and telling the story through inaction. Some don’t realize it but we can tell our story through the things we do. Think of Candy Lightner, the founder of Mothers Against Drunk Drivers (MADD) She was able to tell her story over and over through her action of creating this important organization. Through her action she honored her daughter and built a memorial through her important work fighting the evils that led to her daughter’s death. Her actions told her story and honored her daughter. As long as the action connects us with the pain of grief then it is working for us. Then there is inaction. When we tell our story through inaction we do it quietly and often alone. We literally tell the story over and over in our own heads. Some call this self-reflection. Others call in “grinding” on it. The bottom line is that we are doing the same thing that someone might do in a support group but we are doing it quietly in our own minds. The inactive route may take a little longer since we forfeit the benefits of being heard by others but even if we are not heard we can benefit. As long as telling the story in our mind puts us in touch with the emotions of grief then it is doing its work. We all use our own unique combination of all of these paths. The next note will discuss how and why men and women differ in their choices of their way to tell their story. a loved one and others.